The old saying "we are copied, but never duplicated" is very accurate about PROTHERM, LLC� heaters. That is because nobody puts as much of themselves into a heater as PROTHERM, LLC� does. We assist you with heater selection, we build with high quality materials for long term reliability, and we stand behind our heaters around the world. Protherm, LLC electric infrared heaters are proven to be the highest efficiency of each style of heater available. All PROTHERM, LLC� heaters are custom built for each application, but are available and priced as if they were stock items. Deliveries are top rated in the industry, typically three weeks or less. PROTHERM, LLC� heaters serve both end users and OEM accounts. A large percentage of our heater business is to satisfied repeat customers who value our unique capabilities. We will gladly assist you with orders of all sizes, from one piece to hundreds. All PROTHERM, LLC� heaters share some features. 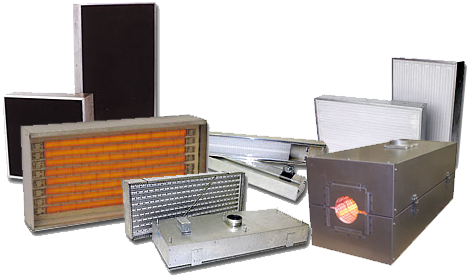 ALL PROTHERM, LLC HEATERS ARE CUSTOM DESIGNED AND BUILT FOR INDUSTRIAL PROCESS APPLICATIONS. PROTHERM, LLC HEATERS ARE NOT DESIGNED FOR OR TO BE USED FOR SPACE HEATING, ROOM HEATING OR COMFORT HEATING! Warranty: Protherm, LLC infrared heaters are warranted to be free from defects in material and workmanship for 1 year or 4,000 hours, whichever is first, from the date received by the customer, providing that the units have not been misapplied. This warranty does not apply to damage resulting from transportation, misuse, or abuse. Evidence of field modifications or repair voids the warranty. The liability of Process Thermal Dynamics, at Protherm, LLC�s option, is limited to the repair, replacement, or refund of purchase price, of faulty material or workmanship, FOB Brandon, MN, which upon examination prove to be defective within the warranty period specified. For complete information see "Warranty". We know that each application is important to the customer, and we dedicate our resources to providing the best heating solution for each customer. Danger: Fire Hazard- Protherm, LLC infrared heaters are not to be used for residential or comfort heating. They are designed for industrial process heating in applications where flammable vapors, gasses or combustible materials are not present as defined in the National Electrical Code. Do not operate heaters unattended. Mount heaters away from contact with or radiating to combustible materials. Heaters are capable of producing high surface and radiant temperatures that could ignite combustible materials.